As we nervously anticipate the Federal cuts in funding for women’s and low-income services, health care, the arts, public TV production and programming, I salute tonight’s timely PBS rebroadcast of Dorothea Lange: Grab a Hunk of Lightning. This powerful documentary debuted on American Masters on August 29, 2014. I have updated and reprinted my original review below to encourage you to watch the film again…or for the first time…not only as a reminder of the fine work being produced and funded for and by public television, respectively; but also as a cautionary tale of what poverty and racial profiling in America looked like not so long ago, as well as how far we’ve come as women, mothers and artists. Dorothea Lange circa 1937. Photo courtesy Rondal Partridge Archives. 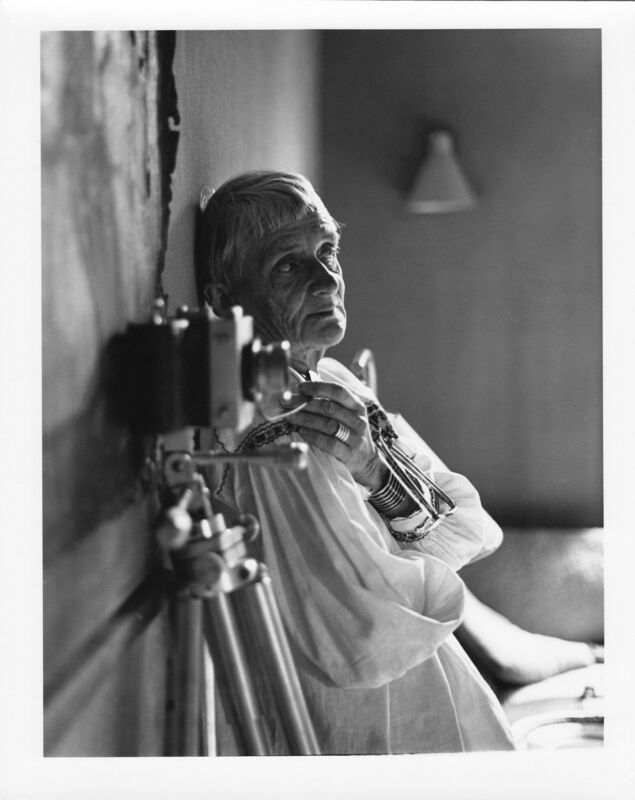 This powerful and intimate look back at the life’s work of legendary documentary photographer Dorothea Lange will, by turns, enlighten you and break your heart. Directed and narrated by Dyanna Taylor, the granddaughter of Dorothea Lange and social scientist/economist Paul Schuster Taylor, Grab a Hunk of Lightning is the realization of Dyanna’s extensive research and lifelong dream to tell her grandparents’ story. Dorothea Lange’s haunting portrait of a Depression-era “Migrant Mother,” is just one of many Lange photographs that powerfully capture the desperation of poverty in America. Photo: Dorothea Lange © 1936. 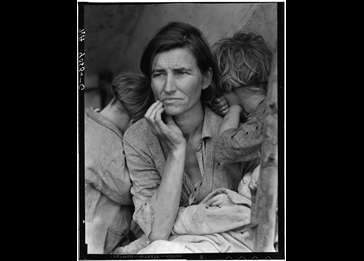 Many of us are familiar with Dorothea Lange’s iconic photos documenting the bread lines and weary unemployed during the Great Depression and the migration of destitute farm families fleeing the Dust Bowl. Yet, there are other photos of consequence to take into account, including her beautifully serene early Bay Area society portraiture, her Hopi Indian studies in the Southwest, and her heart-wrenching post-Pearl Harbor photos of Japanese-Americans stoically facing relocation to internment camps on the West Coast. To see Lange’s photos reproduced beautifully in the telling of her life story will certainly be a revelation for students of her oeuvre. But, for the rest of us, her work serves as a reminder of the struggles, resilience and hope that drove Americans to survive the worst of times and the Federal programs that helped turn the tide. It puts many of our current Recession-era woes and ongoing economic challenges into perspective and will hopefully incite viewers to fight to save and preserve the hard-won rights, programs and services that our current, ill-informed administration seeks to obliterate. 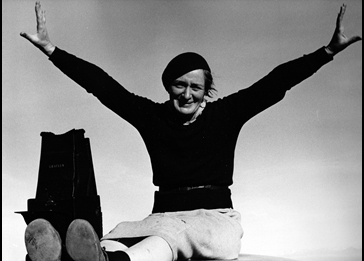 Born in 1895, Dorothea Lange grew up in Hoboken, NJ; but she found her destiny on the West Coast. Abandoned by her father and crippled by polio at age seven, she nevertheless dreamt of a career as a photographer even before she owned a camera. A resourceful young woman, she eventually turned a trip to San Francisco that left her penniless thanks to a pickpocket into a mission to build her own business in the Bay Area as a portrait photographer. Through the influence of the two men she subsequently married–the noted painter/illustrator of Native Americans and cowboys of the Southwest, Maynard Dixon, and social scientist/economist Paul Taylor–she realized her best focus as a photographer. While her journey to this end was fulfilling, her children and step-children often became collateral damage as she juggled the responsibilities of motherhood with her gruelling photographic journeys with her husbands and assignments for F.D.R.’s Farm Security Administration (FSA). Dorothea Lange’s granddaughter, Dyanna, grew up to become an award-winning cinematographer and the chronicler of her grandmother’s life story. 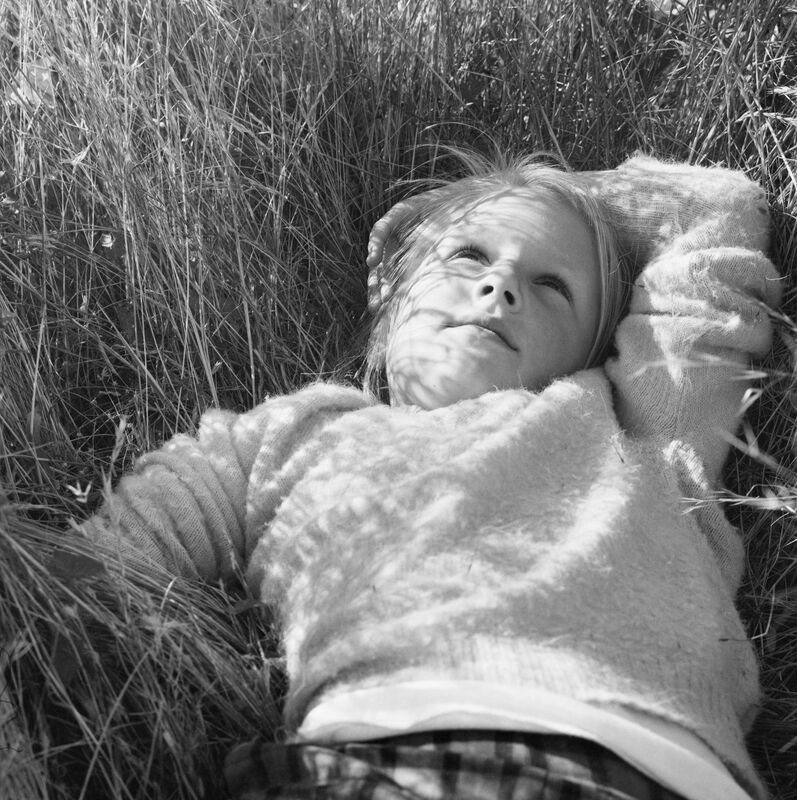 Photo: Dorothea Lange © 1961. Filmmaker and granddaughter Dyanna Taylor brings a lifetime of never-before-seen family footage and audio to this project, as well as the exquisite reproduction and incorporation of Lange’s photos and accompanying journal entries. A highlight here is the wonderfully intimate black-and-white footage of Lange as she prepared for her groundbreaking, 1966 one-woman show at the Museum of Modern Art in New York City. Despite suffering with a debilitating illness that would soon take her life, she meticulously sifted through her massive stash of negatives and conferred with her young assistant and with MoMA Photography Curator John Szarkowski. Her anecdotes and analysis of her work during that process are priceless and will insure the film’s evergreen status in all future studies of Lange’s photographs. 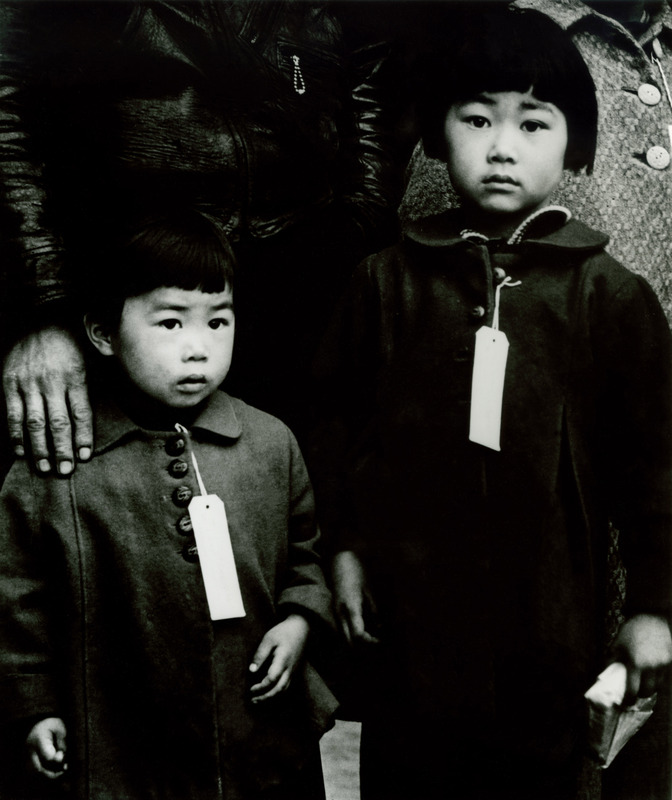 Japanese-Americans were uprooted and shamefully tagged en route to internment camps after Pearl Harbor. Photo: Dorothea Lange © 1942. Additional commentary comes throughout from that young (now white-haired) assistant, Richard Conrad, as well as former colleagues and friends, historians, her middle-aged children and step-children and, most especially, from Dyanna, who remembers how her grandmother challenged and changed her childhood perception of the world around her. That Dyanna grew up to be a Peabody and five-time Emmy Award-winning cinematographer is no accident. This is a long film; but it is rich with images and recollections of life in early and mid-20th century America that, thanks to the resilience and talent of Dorothea Lange, we will never be allowed to forget. Relevant also are her challenges as a woman plying her craft in a man’s world, as an artist whose childhood bout with polio made her adept at becoming an invisible and sensitive chronicler of the down-and-out, and as a working mother who so lost herself in her work that she alienated her children, yet won them back in the end. While her catalytic first marriage to Maynard Dixon pointed her photography in a new direction, it was her longtime marriage to Paul Taylor that gave purpose to her artistic vision. Dorothea Lange was of her time (May 26, 1895-October 11, 1965), yet her drive, her images and her values remain relevant today. Dorothea Lange in her San Francisco Bay area home studio in 1964. Photo courtesy Rondal Partridge Archives. This entry was posted in Film, Photography, TV and tagged American Masters, Dorothea Lange, Dust Bowl, Dyanna Taylor, Grab a Hunk of Lightning, Great Depression, Japanese-American Internment Camps, Maynard Dixon, Paul Schuster Taylor, Photographers, Polio, Women's Issues. Bookmark the permalink. I appreciate the post, but lightning does not have an “e”, which would make it lighter. You’ve got that right, thank you!